WIN exciting prizes at the 2nd Tourism Lifestyle & Business Expo! Fresh from the success of the recently-held Tourism Lifestyle & Business Expo at the Glorietta Activity Center last April 26 to 28, another TLB Expo will be held at the venue this May 9 to 11 - and we'll be giving away prizes for our lucky visitors! Every purchase worth Php500 above from the exhibitors inside the TLB Expo gives you the chance to win gift certificates from our sponsors. Show your proof of purchase or have the attendant assist you to the secretariat to claim your raffle stub. Winners will be selected on the final day of the 2nd TLB Expo (Thursday, May 11) and will be contacted via SMS or email. Who wants to have their own vacation this summer season? The Tourism Lifestyle & Business Expo will be giving away a vacation package through the Snapshots Photo Contest! Here's how to join the contest. Hurry, we will be picking the best photos by the end of May 4, Wednesday. Moreover, there are activities in store for everyone such as talks and giveaways, so come to the Glorietta Activity Center and check out the second leg of the Tourism Lifestyle & Business Expo. 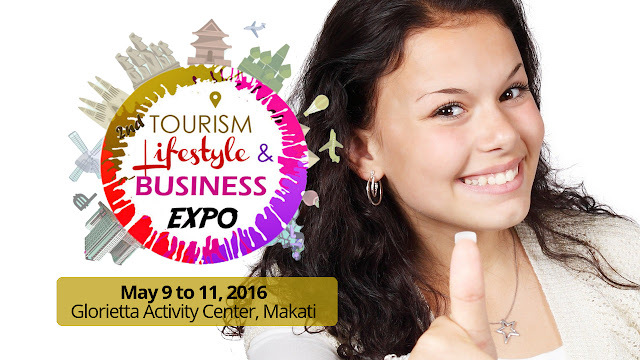 The 2nd Tourism Lifestyle & Business Expo will be held on May 9 to 11 at the Glorietta Activity Center. Citibank is a corporate partner in this event. This event is for the benefit of the Dumagat children and youth of Brgy. Calawis, Antipolo City.